Smart agriculture includes agricultural practices with the adoption of internet of thing (IoT), sensors and others, in order to increase the productivity of the farm. Smart agriculture also addresses the interlinked challenges of food security and climate change and benefit smallholder farmers by increasing efficiency of inputs such as labor, seeds and fertilizers, increasing food security. By protecting ecosystems and landscapes, smart agriculture practice helps protect natural resources for future generations. The smart agriculture market has been experiencing massive growth in the recent years due persistent demand for improved income margins obtained from agriculture sector, combined with introduction of connected devices in agriculture sector. 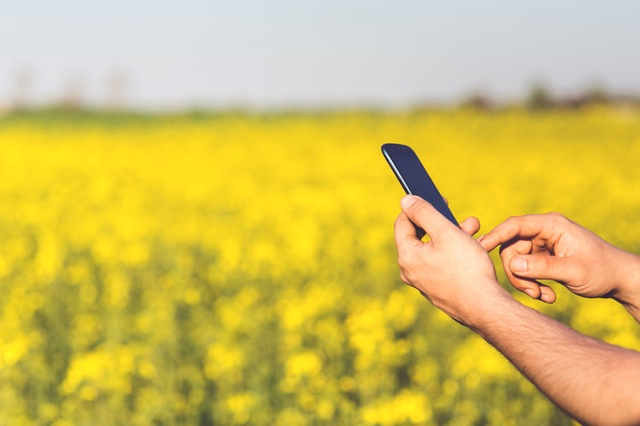 Moreover, government initiatives focusing on increasing penetration of connected devices in agriculture sector is further expected to fuel the growth of smart agriculture market during the forecast period. However, the dearth of awareness of smart agriculture practices across small farmers in emerging economies such as China, India, Brazil and others concerning adoption of smart agriculture solutions is hindering the market growth. Demand for uninterrupted internet supply for the efficient working of connected technologies is expected to create new opportunity for the companies operating in smart agriculture market. The global smart agriculture market is segmented on the basis of type, application, and geography. Based on the type, the global smart agriculture market is segmented into hardware, service and solution. On the basis of hardware, the global smart agriculture market is further sub segmented into global positioning system (GPS) devices, sensor monitoring systems, and smart detection systems. Based on the services, the market is segmented into consulting, integration and implementation and maintenance. On the basis of solutions, the market is further classified into mobility solution, supply chain management solution, remote monitoring solution, quality assurance solution, connectivity solution, and data analytics solution. In terms of different applications, the market is classified into precision farming, livestock monitoring, fish farming, smart greenhouse and others. On the basis of geography, the global smart agriculture market is segmented into Europe, North America, Asia Pacific, Latin America, and the Middle East and Africa. Among these, North America is expected to dominate the smart agriculture market in 2016. The presence of a large number of vendors, continuous advancements in technology, and reducing price of equipment are contributing to the growth for smart agriculture market in the North America region. Moreover, Asia Pacific is expected to offer potential growth opportunities in the smart agriculture market owing to the high adoption of Internet of (IoT) agriculture sector. The global smart agriculture market is highly competitive in nature and is marked with the presence of several international and domestic key players. Some of the leading companies operating in the global smart agriculture market transforming the market with product innovation are Cisco Systems Inc., Trimble Navigation Limited, AgJunction Inc., SST Development Group, Inc., Trimble Navigation Ltd., Vodafone Group , Deere & Company, Raven Industries, Inc., AGCO Corporation, SemiosBio Technologies Inc., and Salt Mobile SA among others.